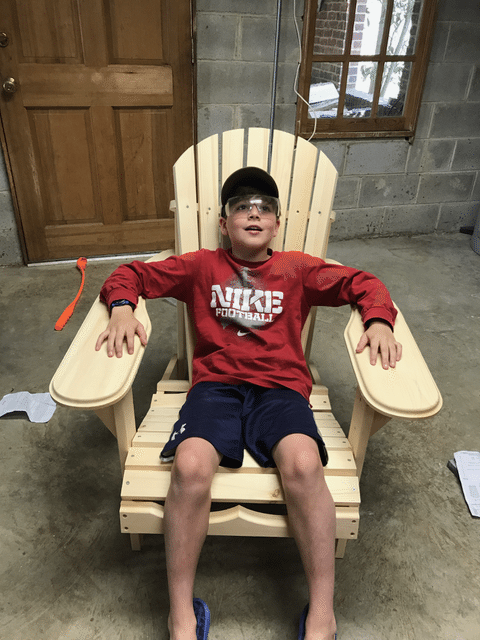 Thanks to Wayfair.com for sending us these DIY Adirondack Chairs to spruce up our yard and provide a lovely place to enjoy a glass of wine! Since we moved into our home 10 years ago, we have been adding grass to our back yard. We took down a tree, then took down a wooden play set and filled the area with grass. 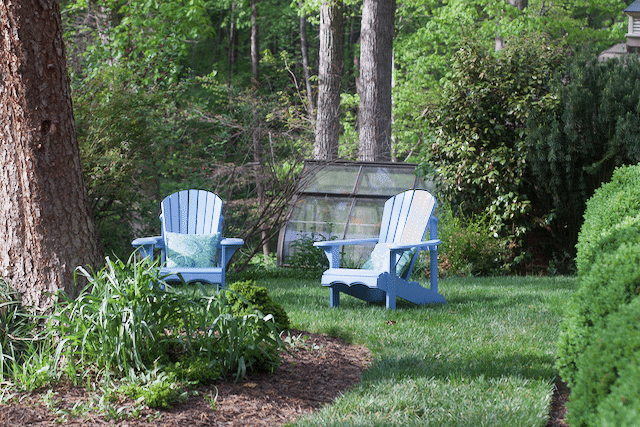 Now that we have this lush yard and gardens, we need to have a place to sit and enjoy it. 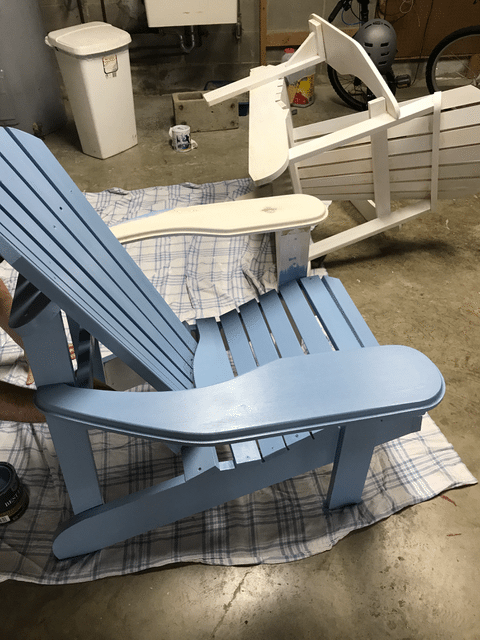 There is something so iconic about Adirondack Chairs and putting them together yourself allows you the freedom to paint them any color you wish. 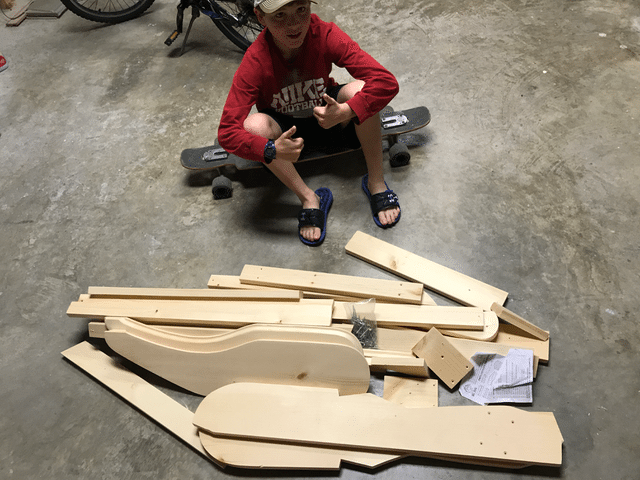 Here he is ready for the project and while it looks intimidating with all the pieces…. 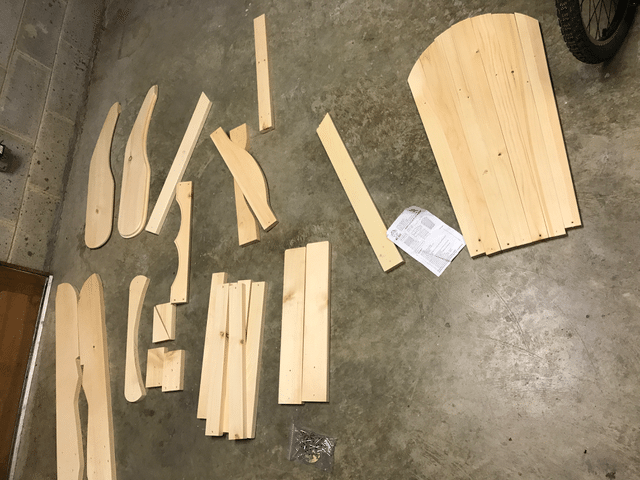 Once you lay the pieces of wood out, the chair becomes a more realistic project. 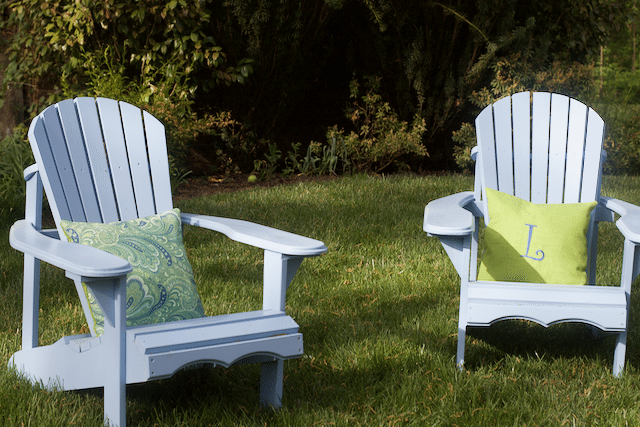 Just be careful, the DIY Adirondack Chairs are made of pine and very soft. 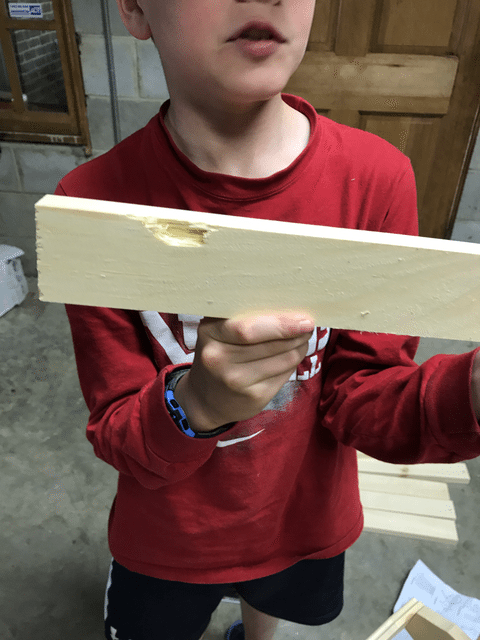 Not sure if this piece came like this or we accidentally damaged it. Either way before you start building the chair, lightly sand all the edges. 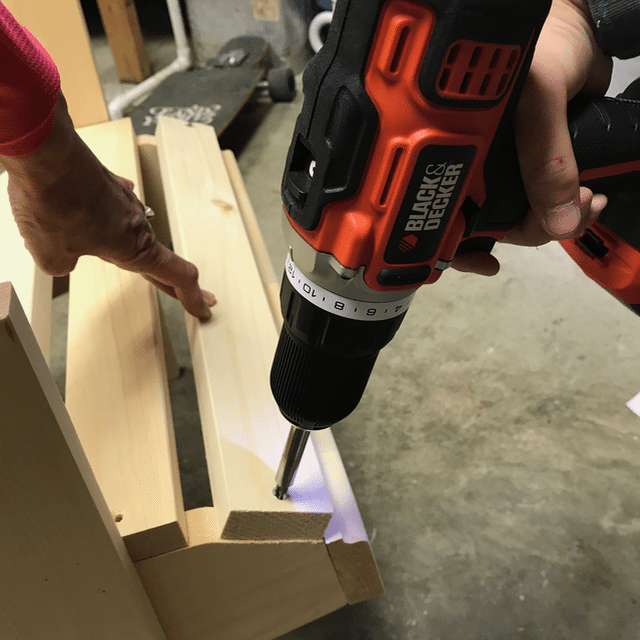 If you don’t already have a power screwdriver, I recommend it for this project. While it took us 2 hours to put one chair together, the second much less, it would have been even longer had we not had the assistance of a cordless drill. Here is one proud kid, enjoying the labor of his work. But don’t get too excited, this is unfinished wood so unless you plan on keeping it in the workshop it still requires some maintenance. What a fun task to head to the hardware store and find the most perfect color for our chairs. We chose a light blue color. We primed, lightly sanded and brushed on two coats of paint. Such and amazing feeling to see our chairs ready to go outside. But something was missing. You guessed it, pillows. 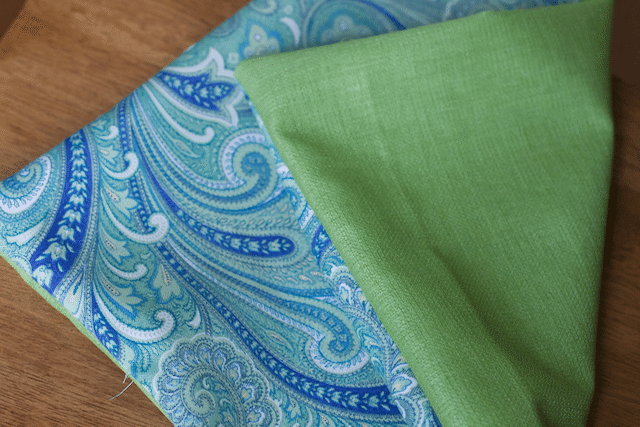 When I went to the fabric store to look for outdoor fabric, I could not decide between these two fabrics. When in doubt buy both right? Well only half of what you need for two 16 inch pillow. Simply cut one square from each piece of fabric and sew them together. 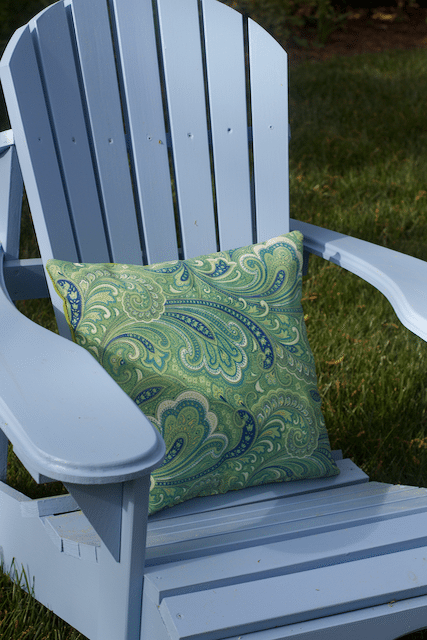 No fancy trim on these outdoor pillows. So now I need you help me decide which side you like better. My husband originally wanted the all green side, while my eye was one the pattern side. 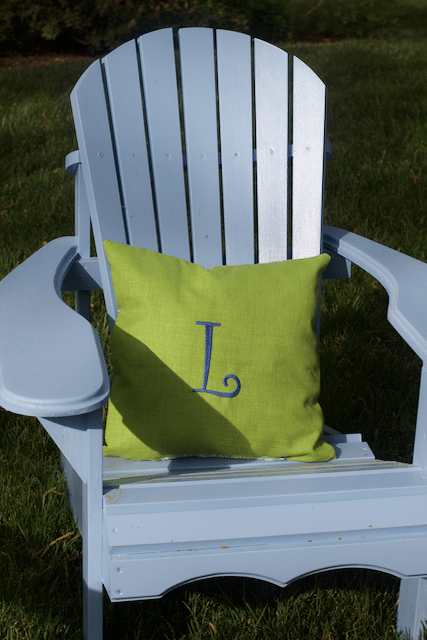 To make the solid color pillow pop, I added an initial to it. Well I had someone else do it. 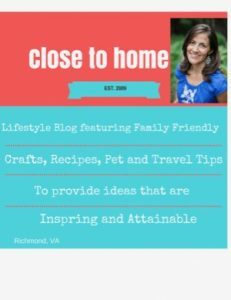 You need to do this before you close up your pillow!! Which pillow do you like better? I plan on ordering a white Adirondack table too to fit in the middle. If I am going to be drinking wine I need someone where for my cheese and crackers! 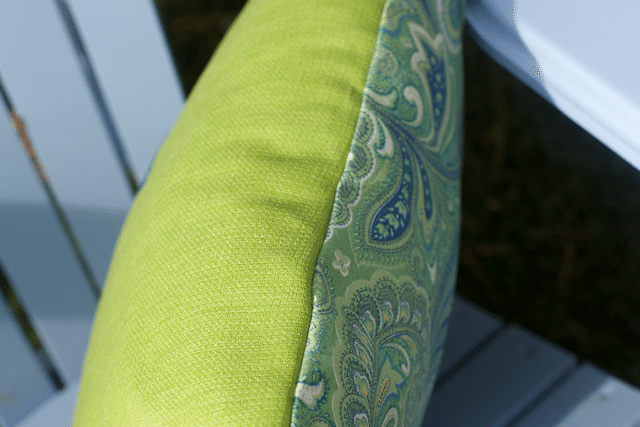 How will you spruce up your outdoor living area this Season? I didn’t realize they had kits for these? My father builds them out of the scraps he has from other projects. I know we never monogrammed anything in Chicago when I lived there!! 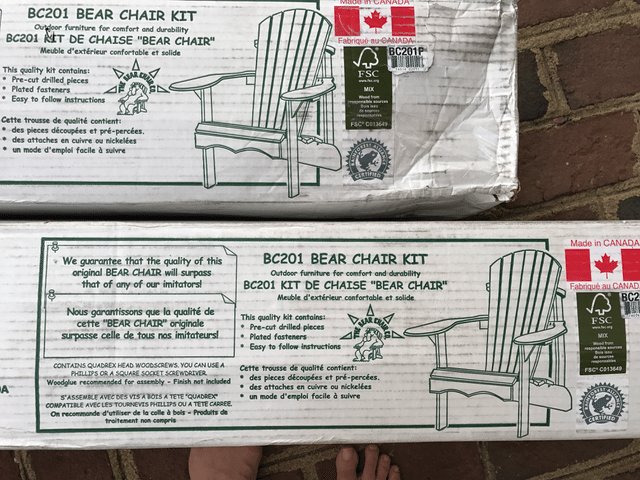 I have been wanting new chairs for the deck. Hoping hubby will help me with this project. Whoa, this is amazing! I Can’t believe you put all this together. I prefer the monogram pillow, but maybe because I’m turning into a southern girl! I would love to have those chairs in my yard. They look so lovely. I have a big shady elm tree in my backyard and those chairs would be perfect for a lovely afternoon with a good book. WOw! All these are superb. They remind me of the old beach house house. The pillows were a nice touch. I like the pattern one! These chairs are really nice and I love the color. I think they would look great in our front yard since it needs a little burst of color. Wow, these look so nice. I like the color you went with. The pillows were a nice touch. I like the pattern one! I love these chairs. They remind me of the old beach house that my aunt and uncle used to rent on Cape Cod. Those turned out beautifully!!! I had an issue with wood being messed up on a Wayfair order, and that company is so amazing to work with. They got me a new piece in no time and had the best customer service. Looks like you have a comfy place in the yard to relax now – I love it! I think we have the exact same ones! 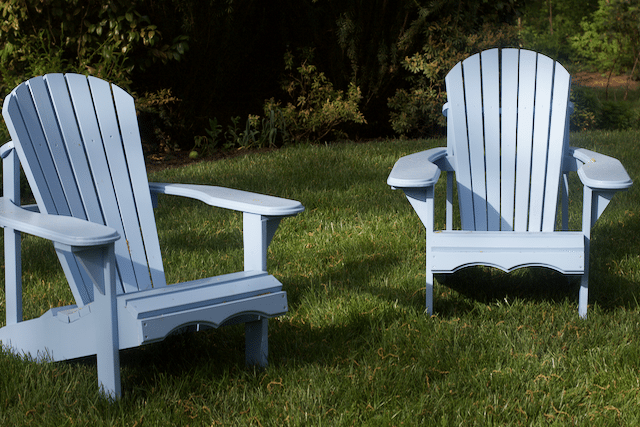 Though for some reason we call them Muskoka chairs and not Adirondack haha. I think I want to paint ours too! So pretty.